At this point all the holidays really bleed into one never-ending promotion. 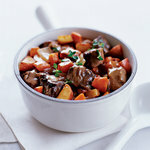 So now that it’s the beginning of February it’s time to look past Valentine’s and start focusing on St. Patrick’s Day. It’s a great holiday in the food and beverage world: Probably the only one where you can make your entire menu festive with just a little bit of food coloring. This year, McDonald’s is taking that idea to heart, using the syrup from the brand’s signature Shamrock Shake to create an entire line of Shamrock beverages. According to Consumerist, some Shamrock Shake devotees have been creating a spin on the original menu item for years, requesting a half Shamrock, half chocolate shake as a kind of “secret menu” item. This year, McDonald’s is making it official. The new Chocolate Shamrock Shake is described as having chocolate shake on the bottom, followed by Shamrock Shake on top, before being finished off with whipped topping, green sugar crystals and a drizzle of chocolate syrup. Of course, the question is always “Why stop there?” The giant bottle of mint-flavored green syrup is sitting right there. 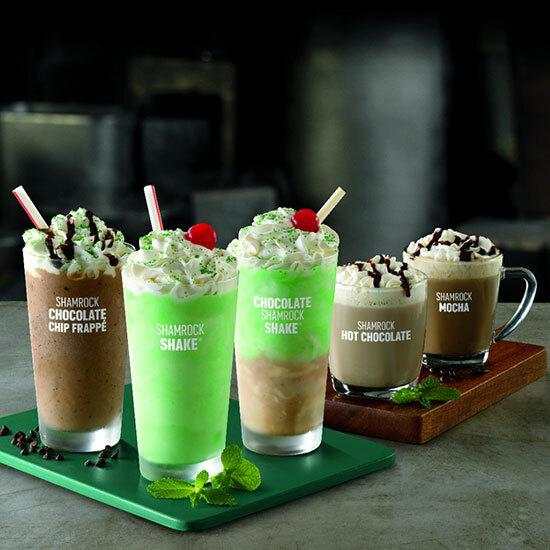 So, with St. Patrick’s Day a scant month and a half away, McDonald’s is also introducing a Shamrock Chocolate Chip Frappe, a Shamrock Hot Chocolate and a Shamrock Mocha. According to Brand Eating, these three new limited-time seasonal additions (at participating locations only) are what you’d expect: McDonald’s normal menu items with an extra injection of minty Shamrock Shake syrup. Plus, keep in mind, these beverages are just the “official” new menu items. If McDonald’s is still willing to let customers get loose with “secret menu” ideas, the possibilities are limitless: Shamrock Shake Syrup-Filled Baked Apple Pies, Shamrock Shake Fries, Shamrock Shake Big Macs! It’s amazing what you’ll come up with after drinking, eight green beers. Let’s do this!